Baltimore, Md. — A researcher at the University of Maryland, Baltimore has secured a grant that is among the first group of awards to be issued by the National Institute for Innovation in Manufacturing Biopharmaceuticals (NIIMBL) — a national institute established in 2016 to advance leadership in pharmaceutical manufacturing across the United States. 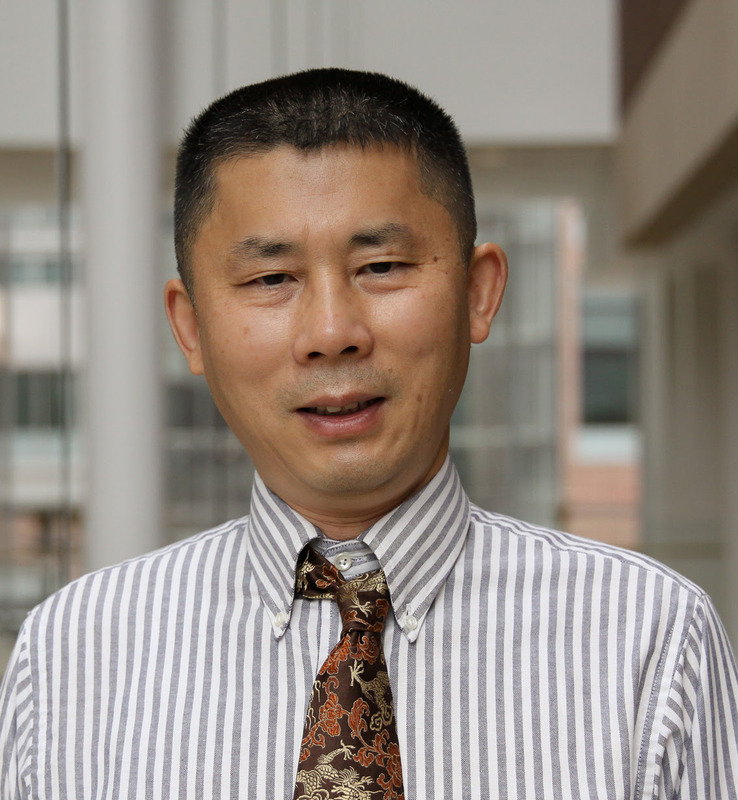 Bruce Yu, PhD, professor in the Department of Pharmaceutical Sciences (PSC) at the University of Maryland School of Pharmacy, has been awarded a $600,000 grant from NIIMBL to develop new analytical technologies for use in the manufacturing of biopharmaceuticals. Yu's project, “Flow Water Proton NMR as Contact-Free Real-Time In-Line PAT for Continuous Biomanufacturing,” is one of four awards that NIIMBL announced Aug. 30. Awards also went to the University of Delaware in Newark, Del., Carnegie Mellon University in Pittsburgh, and several corporate partners, NIIMBL said in its announcement. The UMSOP team plans to collaborate with researchers from ChromaTan Corporation, a biotechnology company based in Pennsylvania, to conduct its study, which began in early March and will conclude in August 2019. While most medications are produced using traditional chemical manufacturing processes, biopharmaceuticals — which include vaccines, certain medications for cancer and autoimmune diseases, and emerging drugs for cell and gene therapies — are made with living cells and can be complex to manufacture on a large scale. Biopharmaceutical manufacturers rely on a wide range of process analytical technologies (PAT) — systems that take timely measurements of critical quality and performance attributes of raw and in-process materials and processes — to help ensure the quality of their drugs. However, Yu notes that the technologies available now are prone to a number of limitations. “Current technologies often require manufacturers to manipulate their samples through dilution, separation, labeling, or the use of special cuvettes (tubes). There is a clear need for new technologies that allow manufacturers to quickly assess the quality of their products without the need for additional manipulation of the sample,” he says. The project aims to leverage water proton nuclear magnetic resonance (NMR) spectroscopy, which relies on the water proton transverse relaxation rate to measure protein aggregation in a biopharmaceutical drug. The intent is to develop a PAT that can be used by biopharmaceutical manufacturers to help ensure the quality of the drugs that they manufacture without the need to manipulate the sample or remove it from the production line. If Yu’s efforts are successful, this will be the first PAT of its kind available on the market, resulting in reduced costs and improved product quality for biopharmaceutical manufacturers. Yu’s project is among a group of projects that NIIMBL said in its grant announcement are designed to advance biopharmaceutical manufacturing and workforce development in the United States. These projects were awarded in response to NIIMBL’s Quick Start Project call as well as proposals initiated by NIIMBL state partners. In Maryland, NIIMBL partners include UMB and the University of Maryland, College Park, which work collaboratively through the University of Maryland Strategic Partnership: MPowering the State. Contact: Patricia Fanning, UMB senior media relations specialist, 410-706-7946 (o) or 443-615-5811 (mobile). Photo of Professor Bruce Yu, PhD, should be credited to UM School of Pharmacy.